Thomas Afilani is a well known adventurer, traveler, treasure hunter and most of all an accomplished and talented inventor. As an avid treasure hunter, he realized early on that in order to be successful in this field he needed to locate precious metal from a distance, so as to increase vastily his search area in the minimum possible time, something metal detectors could not do. His research and experimentations took years, but eventually he developed some promising prototypes, which climaxed the founding of the Electroscope Company in the mid 1980's which is now the undisputed leader in the long range technology field. 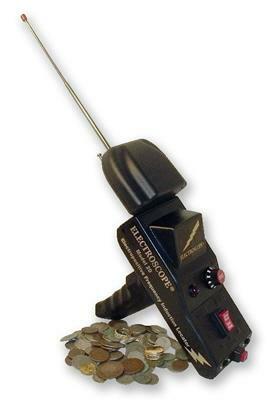 Today Electroscope offers a wide selection of long range instruments which not only locate treasure from a distance, but have the added ability to lead you to the spot, usually pinpointing it within a 2-4 foot square. 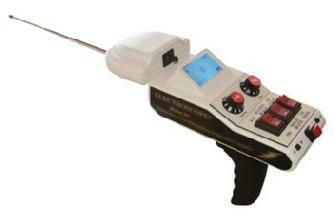 Electroscope models are free floating on the handle(except the gravitator which has a free floating antenna pod only) allowing the instrument to turn and point in the direction of the detected target and lock on to it. A good example to visualize this is how the needle of a compass always points to true North regardless of how the compass is turned. Once a lock is achieved, the instrument has the ability to bring you to the target by means of either the boxing or triangulation method. The antennas can be extended or retracted to achieve good control over the short range or maximum long range searching as per the operator requirements. This also allows the operator to take an educated guess as to target distance according to the length the antennas are extended to. 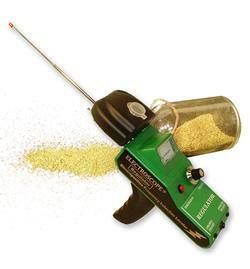 All Electroscope models can achieve depths from 15 to 30 feet deep on large targets, 6 to 12 feet on medium targets, and surface up to 2 to 4 feet on small targets. Distances from targets are usually from a quarter mile plus depending on such factors as ground minerals, target size, length of time target was in the ground, type of container as well as other factors like operators experience. Freshly buried targets give off weak signals, while targets buried a long time will produce much stronger signals as a result of the chemical reaction which takes place naturally between the target and the ground matrix. 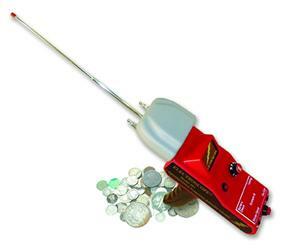 Since 1986 the Model 301 has been used successfully by prospectors, cache hunters, nugget shooters and coin hunters. In the hands of a skilled operator who takes the time to learn and understand its operation, the Model 301 has been called a "lethal weapon in the field". Boasting separate gold and silver modes, the Model 301 has a maximum range of two miles plus on larger targets and reported find depths of up to twelve feet. By locating items from a distance, the Model 301 reduces the time spent in the field searching considerably and the finds being accounted for has significantly increased as well. This sleek, newly designed Electroscope is a fantastic scouting tool used to locate an area of interest for treasure hunters and prospectors. 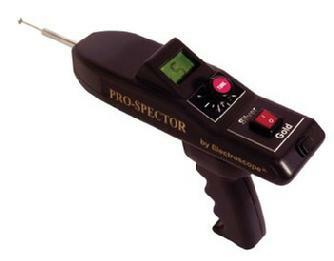 The Pro-Spector has separate gold or silver settings and digital tuning to adjust for optimum tuning with large, visible, numbers on the LCD screen, providing the user with a more intense attraction to the desired material in the field. The LCD is backlit for low-light conditions for better customer visibility. The ten turn tuning knob is very precise and when the user finds that setting on either gold or silver, they can be confident to start scouting and treasure hunting. The antenna system also becomes a tuning mechanism with the Pro-Spector as adjusting the antenna length in conjunction with the tuning knob setting will provide the most accurate tuning. The 9-volt alkaline battery life is monitored with a battery icon on the LCD. Cover more ground and save precious time with a Pro-Spector. 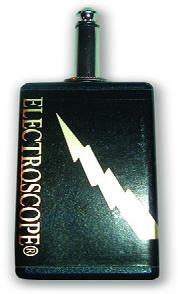 This newest product by Electroscope, the fieldscope, gives you tremendous advantage over other locators. The intermediate range allows you to cover large tracks of ground and quickly target areas of interest. Most targets are found within 20 to 40 feet from the initial contact. Included with each Fieldscope is a field holster, instructional manual, DVD, and 2 antennas. All compartments are sealed to prevent dust, dirt or moisture from entering any sensitive components. 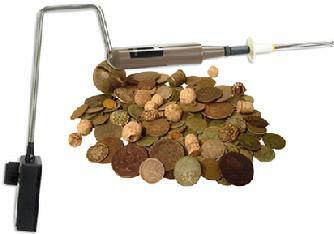 The Relic Hunter is one of the most exciting products we ever developed. Designed to locate ferrous and nonferrous metals, it can quickly scan large tracks of land to locate historical artifacts such as military accessories; including minie balls, swords, buckles, buttons and coins. Included with each Fieldscope is a field holster, instructional manual, DVD, and 2 antennas. All compartments are sealed to prevent dust, dirt or moisture from entering any sensitive components. The Series I Interface is used to help prospectors eliminate micron gold and focus on small nuggets, small gold deposits and small coins. 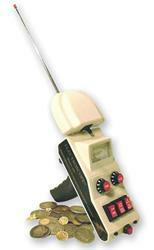 The Series I Interface is compatible with the Model 20, Regulator, and the Model 301 Electroscope. Easy to use, they plug directly into the jack at the bottom of each unit. 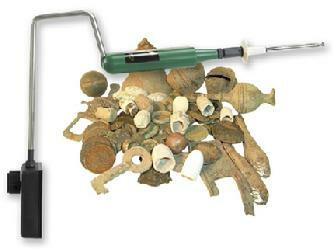 Interfaces are used to help prospectors focus on larger caches, nuggets, or gold deposits. 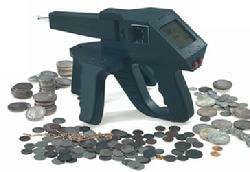 They discriminate larger versus microscopic gold or smaller coins. 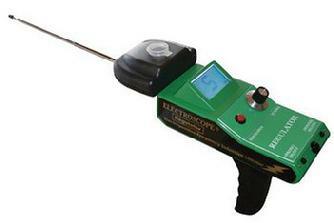 All of our Interfaces our compatible with the Model 20, Regulator, and the Model 301 Electroscope. Easy to use, they plug directly into the jack at the bottom of each unit.